The Scottish Government says contingency plans are in place for contracts affected by the collapse of Carillion, including the Aberdeen Bypass where the contractor is part of the construction consortium. A spokesman said a mechanism was in place that would allow the other joint venture partners to complete the £745m project. However, there are fears that many smaller businesses throughout UK will be hit by the collapse. Carillion went into liquidation after running up huge debts. 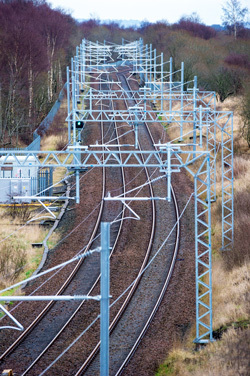 In Scotland it is also involved in millions of pounds worth of work on the Edinburgh Glasgow Improvement Programme (EGIP) project, the electrification of the central belt railway line. Carillion has been working on the EGIP scheme. The Scottish Government is in discussions with the liquidators and the UK government “regarding the measures they intend to put in place regarding private sector, Network Rail and UK government-backed contracts in Scotland to support Carillion employees and to secure the completion of these contracts”. The Federation of Small Businesses has warned that many small businesses could be dragged down by Carillion’s failure. Chairman Mike Cherry said the construction giant made suppliers wait four months before settling bills. Now sub-contractors and suppliers will have to wait to see if their invoices will still be paid. Cherry said: “It is vital that Carillion’s small business suppliers are paid what they are owed, or some of those firms could themselves be put in jeopardy, putting even more jobs at risk besides those of Carillion’s own employees. ♦ David Chapman, a civil servant working for the Insolvency Service, has been appointed liquidator and is being advised by a team of ‘special managers’ from PwC that will assume day-to-day control of the company, selling assets and dealing with creditors’ claims.